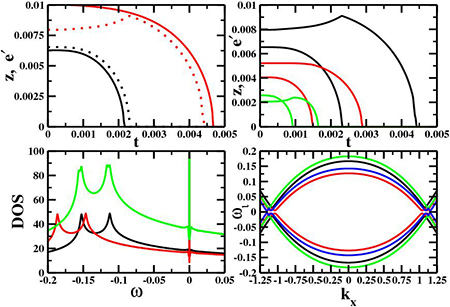 We have proposed a model Hamiltonian describing the interlayer tunnelling in d-wave bilayer cuprate superconductors in the coexistence of superconductivity and Jahn–Teller effect with the on-site non-magnetic impurity. The Hamiltonian is solved for the quasi-particle energy bands, the superconducting and the Jahn–Teller gap parameters by using Zubarev’s technique of double time electron Green’s functions. 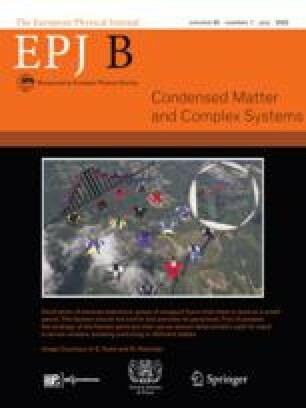 The effects of interlayer tunnelling and the strength of non-magnetic potential are studied for superconducting and Jahn–Teller gap parameters. The density of states for both the layers of the bi-layer system is studied and the results are compared with others.